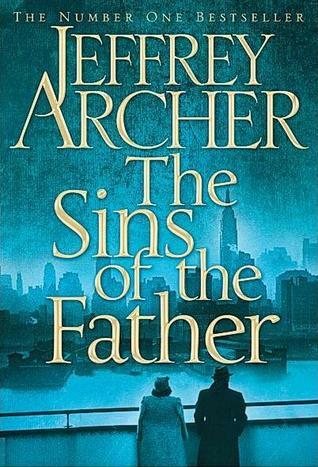 The Sins of the Father is the second book of the Clifton Chronicles series by Jeffrey Archer. It is said to be the most ambitious work by the author, bigger than the most acclaimed Kane and Abel series. The story in ' The Sins of the Father' takes off from where it was left in 'Only Time Will Tell'. Harry has taken the identity of Tom Bradshaw, a sailor who died in the sea with the thought that he would start a new life with a new identity in America. But he couldn't have dreamed what awaits for him in the United States of America. New York, 1939. Tom Bradshaw is arrested for first degree murder. He stands accused of killing his brother. When Sefton Jelks, a top Manhattan lawyer, offers his services for nothing, penniless Tom has little choice but to accept his assurance of a lighter sentence. After Tom is tried, found guilty and sentenced, Jelks disappears, and the only way for him to prove his innocence would be to reveal his true identity – something that he has sworn never to do in order to protect the woman he loves. Meanwhile, the young woman in question travels to New York, leaving their son behind in England, having decided she'll do whatever it takes to find the man she was to marry – unwilling to believe that he died at sea. The only proof she has is a letter. A letter that has remained unopened on a mantelpiece in Bristol for over a year. In Jeffrey Archer's epic novel, family loyalties are stretched to their limits as secrets unravel, and the story moves from the backstreets of Bristol to the boardrooms of Manhattan. Join the great storyteller on a journey where there are no stop signs, no cul-de-sacs and no dead ends. I love Jeffrey Archer books for the characters and stories that spans over generations. The characters the author sketches make the story come live. You can feel the emotions they go through, their trial and tribulations, their joys and sorrow. In this book, I loved the character of Emma more than anyone. She is a strong and intelligent lady with firm determination and unwavering love for Harry. I love the way she goes to lengths to get to the bottom of things. On the other hand Hugo Barrington is the most despicable character, the ultimate villain in the story and the kind of end he met at last seemed very well deserved to me. A good part of the book covers the WWII which does help paint the picture of the society at that time, but at times it gets over whelming. Also, if one were to read it as a stand alone book, it would be difficult to connects the incidents as many of them relates to the first book. Since, this book is a part of a series, there are loose ends in this book as well, which I am sure will be taken in the next book of the series, with new characters and new turning points. As usual there is a lot happening which keeps his readers glued to the book but in the end the author leaves the readers hanging by a thread. All we need to do next is to wait for the next book of the series. I hope it is not a long wait. I finished the book in one sitting but I still think Kane and Abel was a masterpiece, this isn;t.